As part of your proactive health care plan, routine physicals ensure your body is functioning optimally. 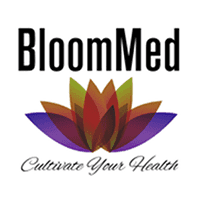 Dr. Stephanie Cudjoe offers comprehensive physical exams at BloomMed LLC in McKinney, Texas to assess your overall health and detect potential problems as early as possible. Dr. Cudjoe can perform your annual physical in the comfort of your own home, or you can visit the clinic for physical and other routine screenings. To schedule your next physical exam, book an appointment online or call the office directly. During a routine physical, Dr. Cudjoe’s goal is to assess your overall physical and mental health based on a physical examination and an open discussion about any concerns you have regarding your health. Dr. Cudjoe uses these exams to identify potential medical problems in their early stages, allowing you to get treatment as soon as possible. She can also review your medical history and make sure you are up-to-date on vaccinations, eating healthy, and getting physical exercise. You may also discuss your work and home life, relationships, and other lifestyle factors to so that Dr. Cudjoe can ensure you are both healthy and happy. Dr. Cudjoe starts your appointment with a discussion about various aspects of your life and health, giving you her undivided attention. There’s no need to feel rushed during your time with her. For the physical part of the exam, Dr. Cudjoe checks your vitals, taking your temperature, your pulse, and listening to your heart and lungs. She also measures your height and weight and reviews any medications you currently take. Dr. Cudjoe also evaluates your internal organs, physically feeling various parts of your body, checking for rigidity, lumps, and anything else out of the ordinary. If you have a family history or specific concerns regarding specific medical issues, Dr. Cudjoe may request blood work or other tests to screen for issues like thyroid dysfunction, cervical cancer, or infection. If you are taking medications, Dr. Cudjoe reviews your prescriptions and discusses how well they are managing your symptoms. She may recommend changes to your prescription or recommend additional testing to ensure your medications are working as they should. Are screenings performed at house call visits? 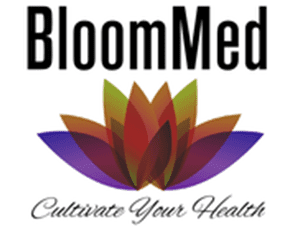 While Dr. Cudjoe is well-equipped to offer comprehensive medical visits at your home, she performs diagnostic tests, such as Pap smears, in the BloomMed clinic for your safety and comfort. She can refer you to a Quest Diagnostics Laboratory for blood work and have your results sent to her directly. The clinic is open Wednesday and Friday, and Dr. Cudjoe can help you set up an appointment for necessary screenings at your convenience. If you need vaccinations, Dr. Cudjoe can refer you to a local pharmacy and update your medical records accordingly. To schedule a physical, book an appointment using the online booking feature or by calling the office directly.